With all the recent changes to Superman, I can't help but look back fondly at the Superman stories from the 1960s and 70s, especially the 80 page giants and annuals that I relished as a kid. A number of complete stories in one giant comic for a quarter? These days you get 1/6 of a story that costs more than a Latte at Starbucks! This particular Superman Annual from 1963 is in my collection. 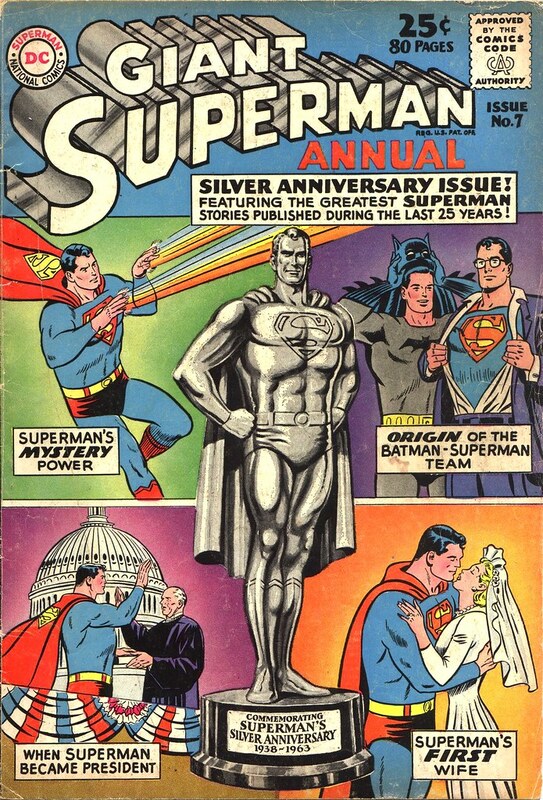 I have always found it to be very unusual--the statue of Superman seems to pop off the cover like it was embossed! A great way to celebrate his silver anniversary. 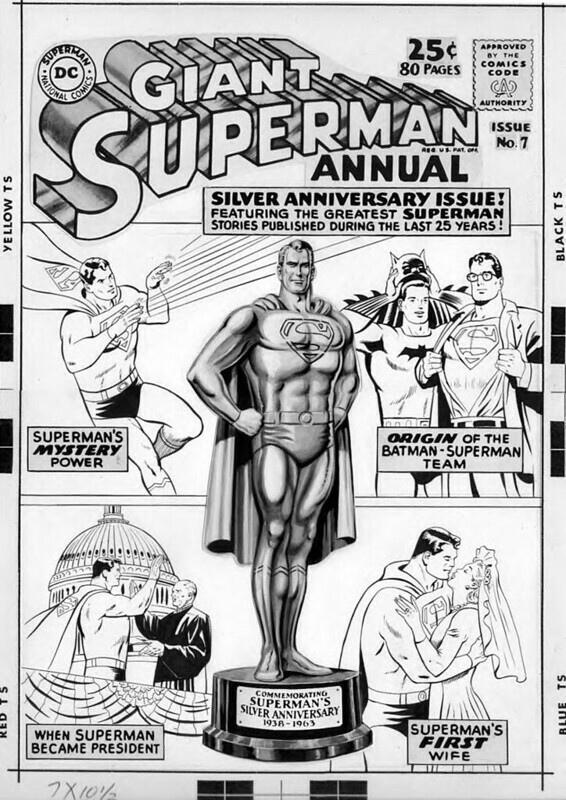 Here is the original art to this annual cover by Curt Swan. You can see that he really did use gray tones on the statue. No one was better at representing Superman's character than Swan! Nuff Said. I so remember this issue. It hit me like a ton of bricks that there were OLDER stories of Supes that I had missed...great artists too like Wayne Boring (sp). thanks for the flashback.